- Food grade material, BPA free, FDA approved. - Perfect for taking your pet outdoor walking, hiking, traveling. 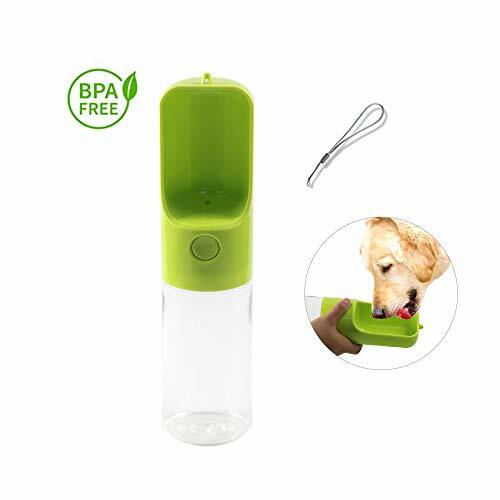 - After filling the water bottle, press the botton, the water will flow into the trough, now the pet water bottle is ready for your pet to use. - Please wash the water bottle to remove dirt or dust once a week.